Unfortunately the title of this post is not original; it is borrowed from an article in HVG. But it is an apt description of Viktor Orbán’s efforts to make a financial deal with the Russian government. The outlines of the plan can be stitched together from various sources, but not all the information is available yet. However, to me at least, it looks as if the Orbán government’s Russian orientation is nothing new. It was hatched perhaps even before the 2010 elections. It has been carefully worked out. Today in the early morning edition of Népszava I found an article about a top secret trip of Antal Rogán, the whip of the Fidesz parliamentary delegation, to Moscow. Although the visit took place on February 28, a day before György Matolcsy’s nomination to be the next chairman of the Hungarian National Bank, the Hungarian press didn’t get wind of the trip until today. Rogán met with Sergei Zheleznyak, deputy secretary of the United Russia party’s chief council. The information came from the official website of United Russia. Let me quote some of the most important passages describing the meeting. “The Hungarian guests noted that Russia today is their strategic partner…. These days the Hungarian government is considering the possibility of converting some of the Hungarian National Bank’s reserves to rubles because of the precarious situation of the dollar.” In addition, Rogán invited the Russian party chiefs to attend Fidesz’s next congress in June. He expressed his hope that at that time the two parties will sign a document of close cooperation. As I mentioned, this development is nothing new. It is not a spur of the moment decision. Some of you may recall Viktor Orbán’s much debated meeting with Vladimir Putin in November 2009 at the party congress of United Russia. At that time there was a debate about how serious these talks were and what the topic of conversation could have been. The follow-up visit of János Martonyi to Moscow in March 2010, that is before the election, received less attention. Martonyi had dinner with Russian Foreign Minister Sergei Lavrov, but not as the future foreign minister of Hungary but as a representative of Fidesz, the “fraternal party” of United Russia. Viktor Orbán’s second trip to Moscow, which took place in early February of this year, was also hotly debated in the Hungarian press where he was described as “Putin’s new little kitten.” A few days later the Hungarian media heard that “Orbán exchanged the IMF for Moscow for 4.6 billion dollars.” HVG reported that Moscow would purchase 4.6 billion dollars worth of Hungarian government bonds at a very low, 2.25% interest rate. 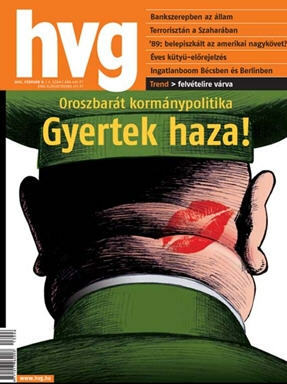 The article also said that “sometime in the future the Hungarian government might issue government bonds in rubles.” HVG pointedly asked what Hungary would have to give in exchange for all this. Yesterday Népszava asked the Hungarian National Bank whether they know anything about converting some of the bank’s reserves into rubles, but naturally the government never bothered to inform the bank officials of such a deal. They were obviously waiting for the arrival of an obliging György Matolcsy because surely András Simor would never have agreed to such a “hazardous game.” The ruble is not fully convertible and is therefore an illiquid currency. Moreover, the exchange rate of the ruble fluctuates wildly. Not exactly qualities one wants in a reserve currency. The bank officials didn’t know about any of these negotiations but Mihály Varga, the incoming minister of the economy, certainly did. Although during his Napi Gazdaság interview today he claimed that he knew nothing about the negotiations, he admitted that there were talks between Budapest and Moscow. He described them as “inter-party talks” and suggested that the journalist “talk to Mr. Rogán.” But he told Ildikó Csuhaj of Népszabadság that it is a good idea to diversify. 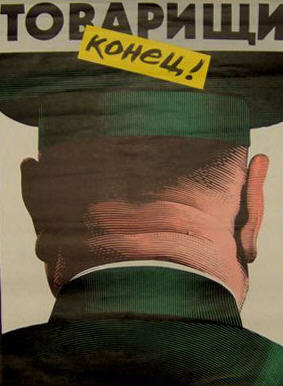 And the original, the famous MDF campaign ad from 1989: Comrades, this is the end! Gergő Nagy of HVG wrote a fairly lengthy article that contained comments from leading members of the financial community. He is the one who called the plan a hazardous “Russian roulette.” Hazardous because most of Hungary’s financial obligations are in euros and because the ruble is not exactly a favorite of currency traders. On the plus side, however, the yield on Hungary’s euro reserves is close to zero while the interest rate the National Bank pays is between 4 and 5%. That means about a 100-200 billion forint loss a year to the bank which by law the state must replenish. The yield on Russian government bonds is between 5 and 6%, which might begin to close the gap but only at great risk that might not be worth it. Officials of several financial institutions emphasized that the reference to the instability of the dollar during the Moscow negotiations was nonsense. The dollar is still the world’s number one reserve currency and most likely will remain so for the foreseeable future. Sixty percent of world trade is in dollars. Another bank expert mentioned that one of the goals of the central bank is to create financial stability, which also means the stability of the reserves, and Russia is not a financially stable country. For example, in 1998 the Russian government had to declare bankruptcy.